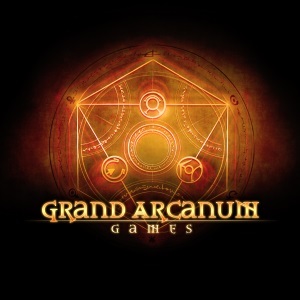 Grand Arcanum Games is a small team of game designers, story writers, miniature painters, and gaming enthusiasts. We intend to provide games that entertain, and that strike the right balance between being immersive stories driven by game decisions and having clear and concise rule sets. Everyone deserves a great game, and it's our job to deliver this to you! The Roots of Magic: Students of Sorcery 75% funded with 7 days to go! No Comments on The Roots of Magic: Students of Sorcery 75% funded with 7 days to go! The Roots of Magic: Students of Sorcery KS is now Live! No Comments on The Roots of Magic: Students of Sorcery KS is now Live! The Roots of Magic: Students of Sorcery Kickstarter Launches tonight @ 21:00GMT! No Comments on The Roots of Magic: Students of Sorcery Kickstarter Launches tonight @ 21:00GMT! The Roots of Magic: “Students of Sorcery” Kickstarter Coming in November! No Comments on The Roots of Magic: “Students of Sorcery” Kickstarter Coming in November! Welcome to The Roots of Magic! No Comments on Welcome to The Roots of Magic!